In the Roman Empire, relations between East and West meant connections between the eastern and western parts of a unified structure of empire. Romans sometimes complained about the corrupting influence on their city of Greeks and Orientals, but they employed Greek tutors to educate their sons. People did not think of the eastern and western parts of the empire as being separate entities whose relations with each other must be the object of careful study. Even at the moment of the empire's birth, there was a clear idea of where the Latin West ended and the Greek East began. This began to change with Constantine, when the Roman Empire was split in two, with Rome itself in decay.This volume, first published in 1973, derives from a colloquium on medieval history held at Edinburgh University. Its theme was the fl uctuating balance-of-power of Latin West and Greek East, Rome and Constantinople. 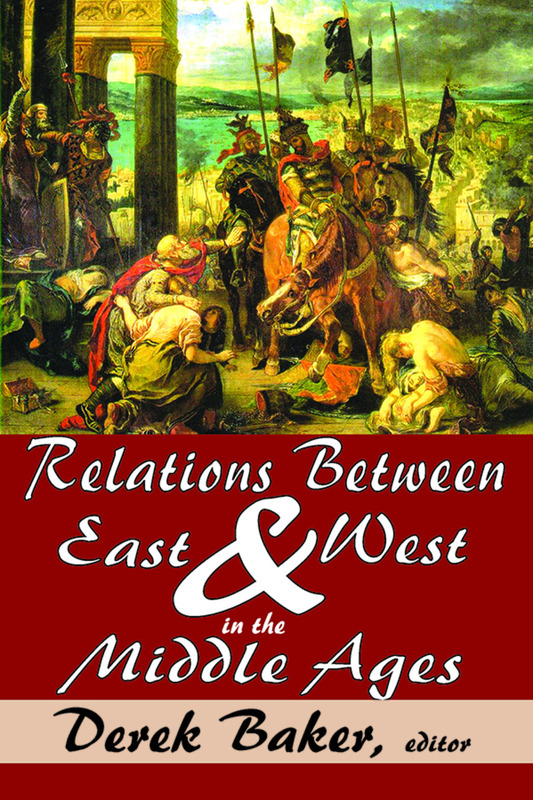 The book starts with Justinian's attempt to reunite the two halves of the old Roman Empire and then goes on to consider the polarization of Christianity into its Catholic and Orthodox sectors, and the misunderstandings fostered by the Crusades; and ends with the growing power and conquests of Islam in the fourteenth century.The contributions included in Relations between East and West in the Middle Ages are: Old and New Rome in the Age of Justinian, by W. H. C. Frend; The Tenth Century in Byzantine-Western Relationships, by Karl Leyser; William of Tyre, by R. H. C. Davis; Cultural Relations between East and West in the Twelfth Century, by Anthony Bryer; Innocent III and the Greeks, Aggressor or Apostle? by Joseph Gill; Government in Latin Syria and the Commercial Privileges of Foreign Merchants, by Jonathan Riley-Smith; and Dante and Islam, by R. W. Southern. Innocent III and the Greeks: Aggressor or Apostle?